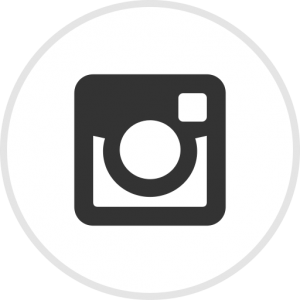 Rossmere Youth Centre in Hartlepool is a popular place for young people to learn through a range of informal education activities such as residential work, arts and crafts and sports. 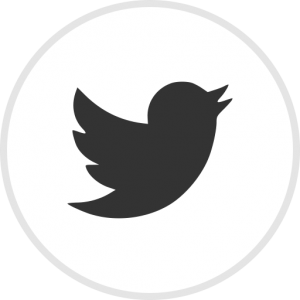 The project involved the renovation of two existing roofs where the existing waterproofing had exceeded their life expectancy and were beyond repair. 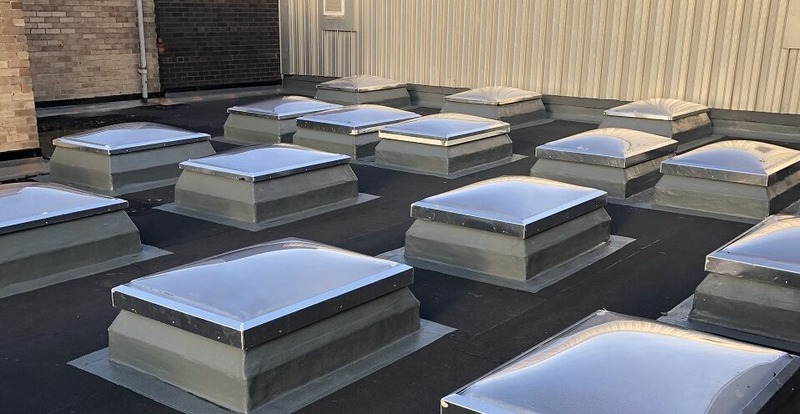 Key considerations with this project were the 23 existing rooflights on one of the roofs, the need for a flame-free waterproofing system and to ensure there was minimal disruption to the day to day running of the youth centre. 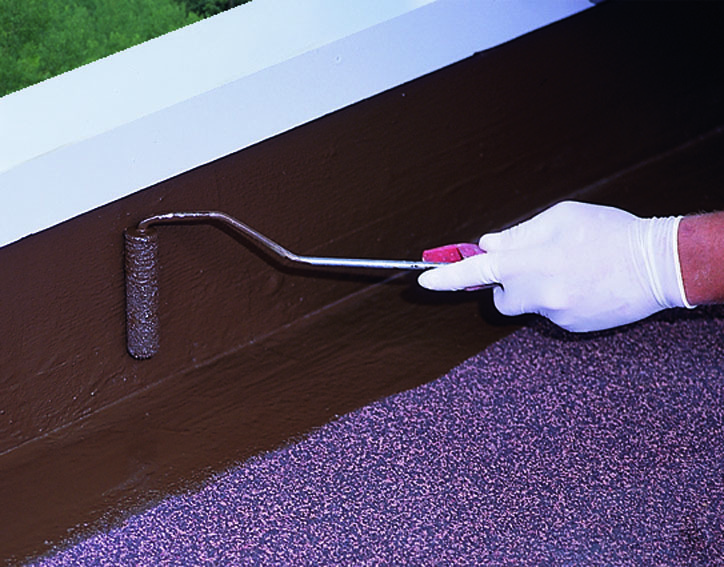 For the first roof, SOPREMA recommended their BITUMINOUS SINGLE LAYER WARM ROOF WATERPROOFING SYSTEM. 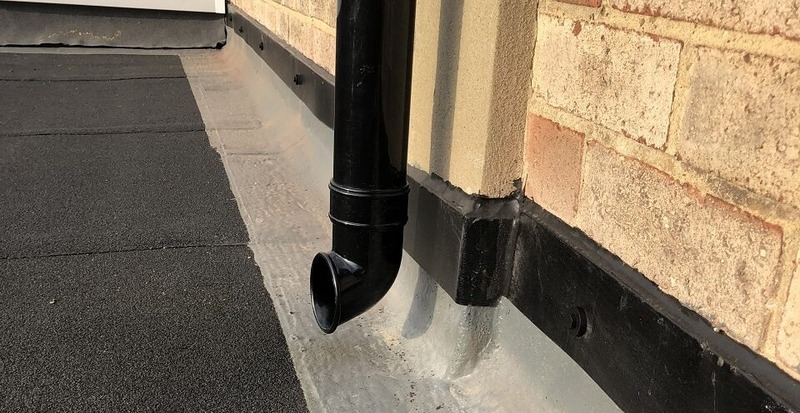 This bituminous waterproofing system incorporated tapered insulation to meet current building regulations by increasing it’s thermal performance and to increase the fall of the roof preventing water ponding. The client, Hartlepool Borough Council, were concerned about the use of flames on the roof which is why Sopralene Optima C3 capsheet was specified. Sopralene Optima was adhered using Sopracol Liquid and the laps were hot air welded, bonding it to the tapered insulation with a consistent bituminous bead. The second area needed a completely new roof including the timber substrate due to moisture penetration of the existing waterproofing. The existing rooflights also needed to be updated to bring them in line with current building regulations. SOPREMA again recommended their BITUMINOUS SINGLE LAYER WARM ROOF WATERPROOFING SYSTEM for this roof along with Alsan Flashing Quadro liquid waterproofing system used for flashing and detail work on the new rooflights and upstands. 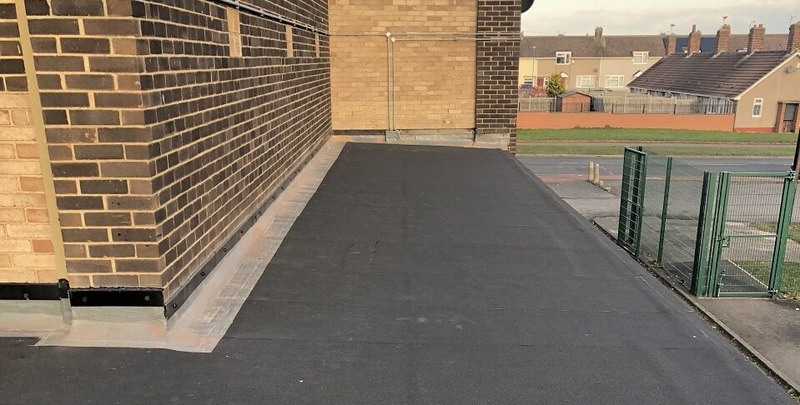 Dufell Roofing installed the waterproofing systems on both roofs to a very high standard and met the installation deadlines to allow the youth centre to continue as normal. The two waterproofing systems offer exceptional performance in terms of strength, reliability and service life and come with a 20 year single point warranty to give complete peace of mind. The Council were very pleased with the overall aesthetic finish on the roof and the high level of workmanship.